Looking for an easy way to add more vegetables to yours and your family’s dinner? Check out these healthy mac and cheese cups, which features a delicious cheese sauce complete with hidden veggies! There has been a big change in our family, a new chapter if you will. My son has started school, real big boy school. Excuse me as I wipe away a tear. Since our family (like many of the other families from his class) are new to this whole school thing, he is still being introduced through gradual entry and he doesn’t have his first full day for a couple more classes. It’s a big change, but it’s an exciting change. Can I be real with you here? I’m a little nervous about when I have to start packing him a lunch. My son is the pickiest eater on the planet. I’m hoping that once he’s there with all the kids and sees them eating that he will eat whatever it is that I packed him, but I need some fun ideas. Like most kids, my son gets excited when meals are “special”, meaning there is a fun twist on a classic. So to prepare for easy to pack lunches (that still pack a nutritional punch) I recipe tested these healthy mac and cheese cups. 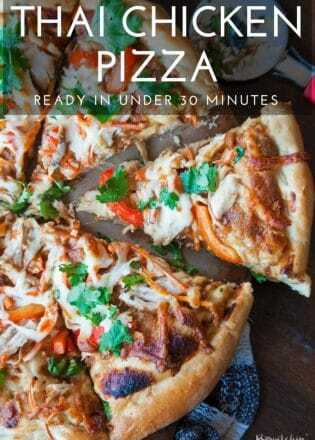 They turned out amazing, so I’m here to share it with you and let you know why these are a great option for lunches or if your family is on the go. 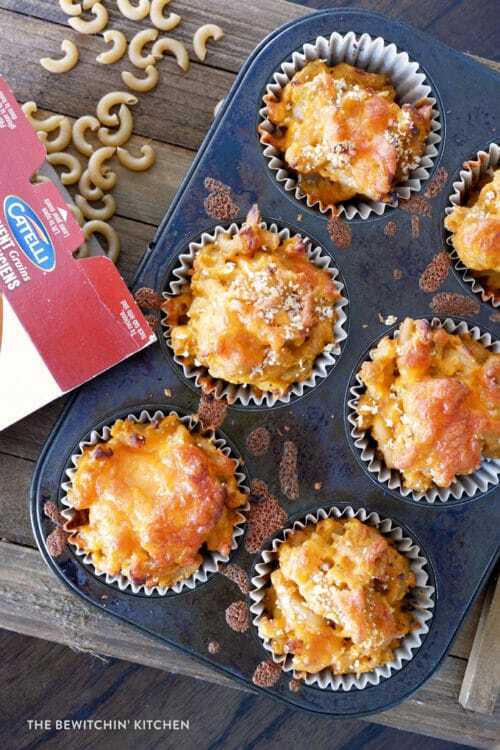 What makes these mac and cheese muffins healthy? I’ve been buying Catelli Ancient Grains since it first arrived in grocery stores in British Columbia, and I love it. Did you know that it’s the only 100 per cent whole grain pasta of its kind? The Ancient Grains variety is made with 100% Canadian wheat and five wholesome ancient grains: quinoa, teff, amaranth, millet, and sorghum. Each serving of Catelli Ancient Grains pasta delivers 75% of the recommended servings of whole grains and 32% of our daily fiber. Want to find out more? Visit Catelli’s website. Did you know: Catelli is sharing Canada’s 150th birthday? 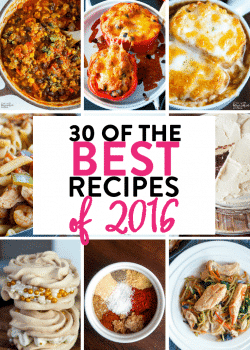 Celebrate with your family with these hearty and healthy recipes. 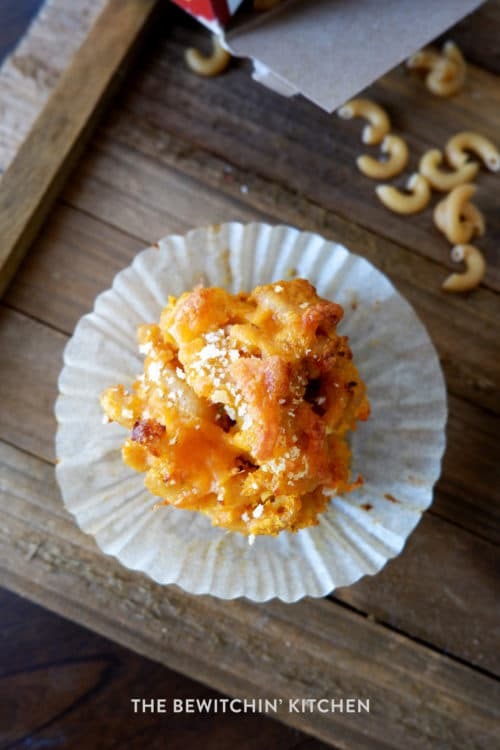 I originally whipped up the healthy mac and cheese cups for a nutritious school lunch but after realizing how portable this meal can be (not to mention how easy it is to clean up) I wanted to share with you how this is an awesome option for the family on the go. Let’s not forget: hockey, football, piano – all of it is starting back up and soon! They’re grab and go so you can skip the drive through and enjoy them at hockey practice (or if you’re in a big time crunch the 20 minutes in between dance and football practice). It’s a great way to put the truck in park and to take the time to stop and still enjoy a meal with your family, even if you’re on the go. 20 minutes gives you time to talk to the kids and connect. You don’t need a dining room table to have a conversation over a meal. These are perfect for camping, a day on the boat, a day at the park. Just toss them in a cooler (they’re better warm, but they’re good cold too). 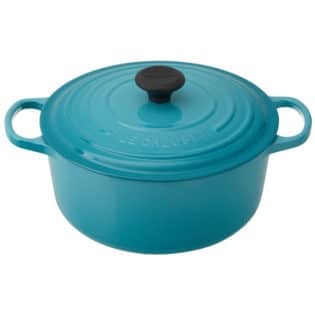 If that doesn’t sound appealing, did you know you can buy mini crockpots to keep your food warm? Try that! My little guy loves picnics, and since these healthy mac and cheese cups are so portable they are perfect for picnics. Don’t forget to read my tips on how to pack a picnic. 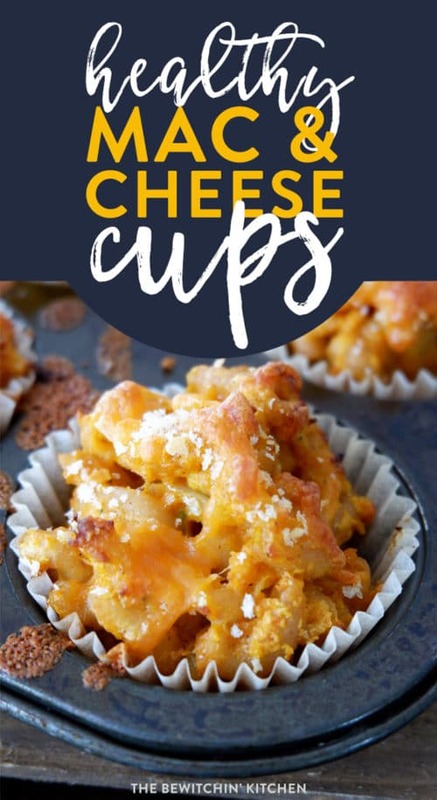 Wherever you are, you can enjoy these mac and cheese cups and you can rest assured that your family is enjoying a fun meal that supports their growing bodies. Randa’s Tip: If you don’t have milk in the house (like me), use chicken broth. In this recipe I subbed chicken broth for milk simply because I ran out. It’s a great substitute for any mac and cheese recipe. If you have milk on hand, feel free to sub the chicken broth. These healthy mac and cheese cups are an easy way to add more vegetables to yours and your family's dinner. Chop up cauliflower, red pepper, and carrots. Place on a baking tray and roast for 35 minutes (or until slightly charred – check the bottoms to make sure it’s not actually burning). Once the vegetables are done, let them cool for a few minutes. 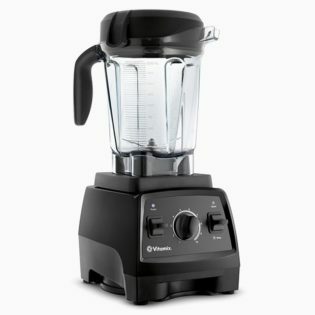 Using a high powered blender, add all of your vegetables and chicken broth. Puree. In a medium stock pot over medium heat, melt your butter, add onions and cook until translucent. Add your garlic. Add flour, stir and add the chicken broth. Let bubble for a minute or two and add the cheddar cheese. 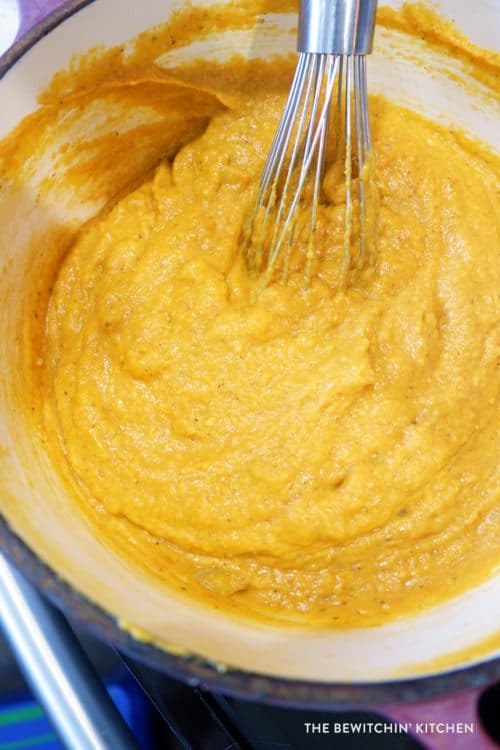 Stir until melted and add the pureed roasted vegetables. Add salt, Worcestershire sauce, mustard powder, pepper, and thyme. Add the sauce to the cooked macaroni, stir to combine. If you'd like to add any more vegetables (like broccoli) this is when you would add it. 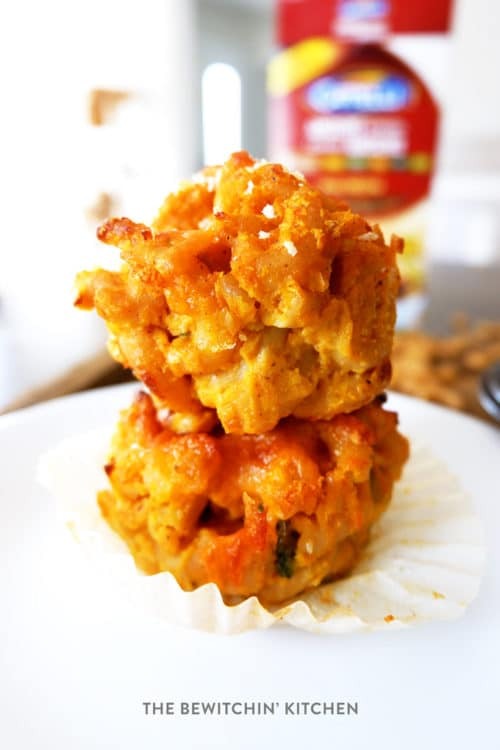 Spoon the mac and cheese mixture into a muffin tin lined with cupcake liners. Sprinkle the panko crumbs and additional cheddar cheese over the mac and cheese. Bake for 15-20 minutes or until cheese bubbles and is golden. 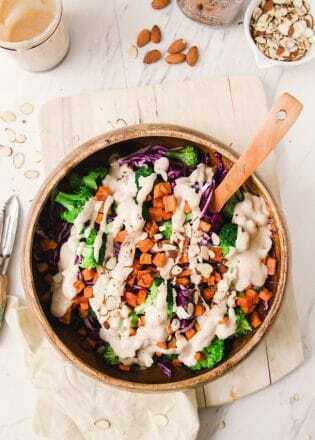 Share with me your best lunch ideas in the comments, I need all the help I can get! 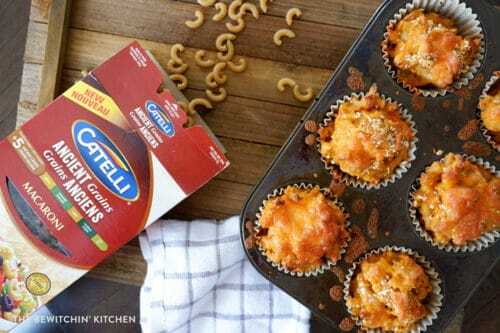 Disclosure: These healthy mac and cheese cups have been sponsored by my friends at Catelli. All opinions are my own. I need these in mah belly! 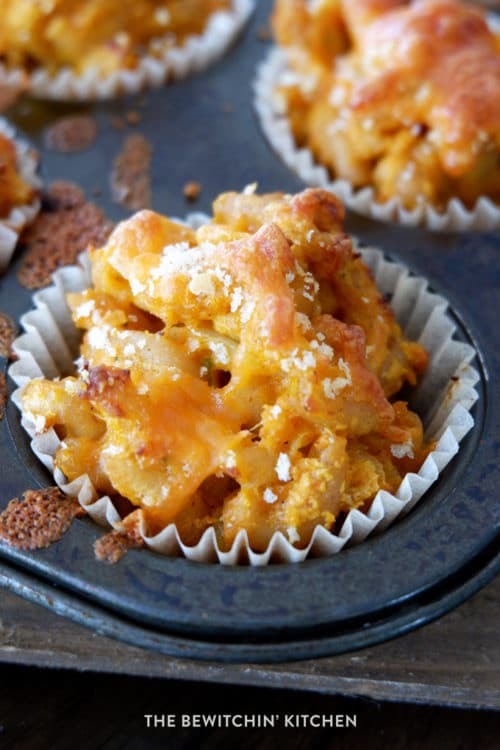 OMG I love me some mac & cheese and can’t wait to make these. They’re really good and I love all the veggies that are added. What the what?! Those look absolutely amazing. I recently fell in love with making food in muffin tins. 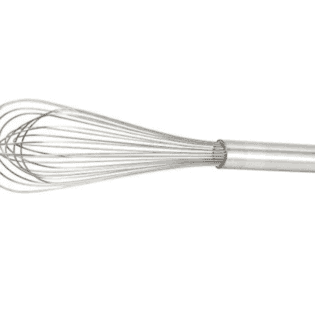 It’s so much fun, and it makes for easy serving. I can’t wait to try this. There is such thing as a healthy mac & cheese?! I cannot wait to try this. What great idea and I LOVE that it is healthy! I am always looking for healthy recipes to try. 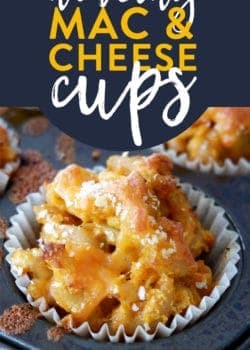 I am sure this mac and cheese cups recipe will be a big hit. I will have to add them to the meal plan for next week. 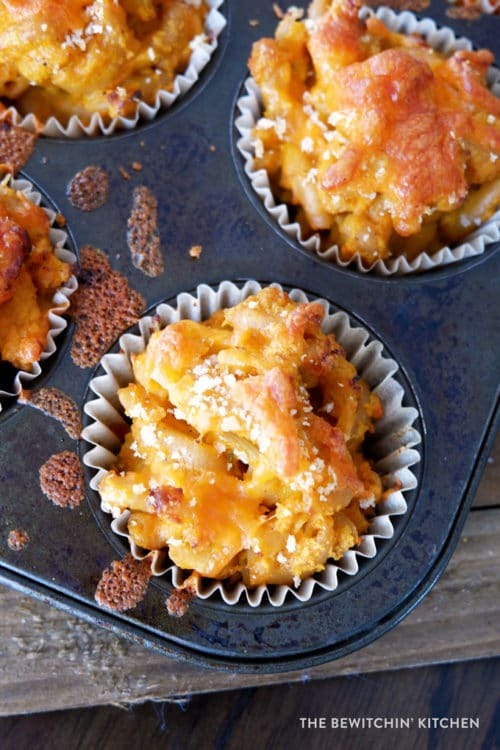 I will have to get the ingredients I need to make these mac and cheese cups this week. They look so delicious and easy to make. I have been looking for some new recipes to help change things up. I absolutely love mac and cheese. These cups look like they would be so perfect! What a great idea! And even perfect for school lunch too! 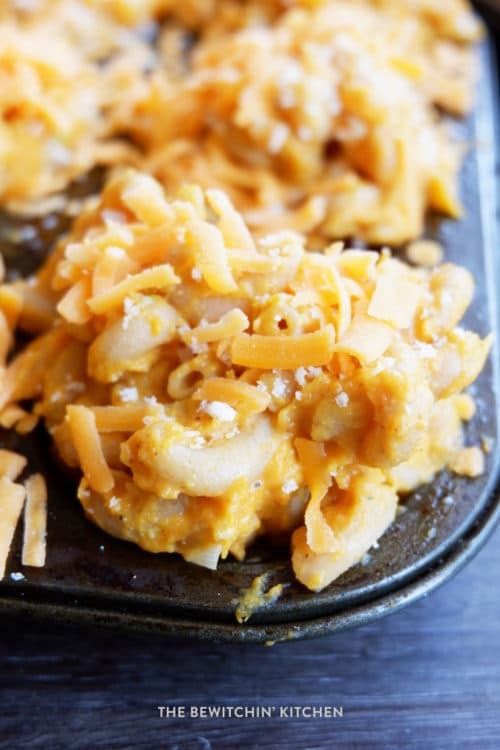 My kids would love these healthy mac and cheese cups. And I love the hidden vegetables in them! These look mega good! I know my kids would gobble them up quickly. 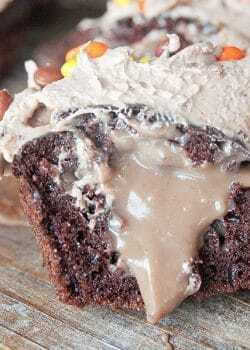 These look absolutely indulgent, not healthy, but they are great! And packed with veggies makes them even better. I never really know what to serve my friends sometimes – I feel like it’s the same old thing over and over again. These mac and cheese treats will definitely be a conversation starter and something they’d all appreciate. I have never thought of doing something like this when my kids went to school. The fanciest I got was an everything bagel toasted with cream cheese lol. He seemed to like it but these would have been a great idea. I know how hard it is to figure out healthy choices for lunches. It is hard, especially when my son is picky as it is. He loves cashews and almonds, but his school is a no nut school. It takes out a lot of options for us lol. I can see these being amazing after school snacks for refueling! I’m definitely liking the grains in the pasta! Yes, the grains and fiber are fantastic. I have not thought of making mac and cheese a muffin. Such a great idea! The cupcake liners make clean up easy too! These sound AMAZING! 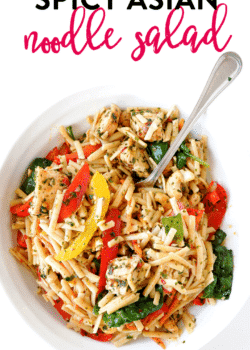 I am going to try and make this for my kids for tonight’s dinner, they will be great leftovers for lunchboxes too! These would be great for a football game watch party! Everyone would eat without realizing all of the hidden goodness! YUM! What a great way to get kids to eat more veggies. I have seen the Catelli Ancient Grains in store but have yet to try it. I don’t have kids and don’t need to hide vegetables but these will be on my menu. There were 6 kids in my family and not much money; mac and cheese, which we called Kraft Dinner, featured regularly. It is still my guilty pleasure and one of the few processed foods I eat. As a student, I never had butter or milk so I just used yoghurt. I have butter on hand now so I add it with the yoghurt. I will use yoghurt in this recipe instead of broth. By any chance, have you tried freezing these cups? These would be great to have on hand. Oh My YUM! Sounds delicious and looks even better! Love the flavor combos in your recipe. So glad you share with us at Merry Monday. I’d like to make this for my family!